Many expats are self-employed in Spain as it gives them the freedom to run their own business (plus contract jobs can be hard to come by!). Compared to the UK, it may feel as though we're missing out on benefits, such as expenses and allowances. However, things are changing. So what benefits will 2018 be ringing in for autonomos in Spain? We talked to Hazel Smith at HCS Accountants in Denia who told us about the proposed changes, which are due to come into Spanish law from January 2018, for the self-employed in Spain. Social security is one of the biggest bugbears for the self-employed in Spain with the standard contribution being €275.02 every month. Certainly for people starting their own business in Spain this is an offputting sum. So the good news is that the introductory quote for new autonomos will be extended, meaning they continue to pay much less for the first 12 months. €190 a month in months 13-18. Also, if you have not been self-employed for two years or more and are starting again as a freelance worker, you can also claim this discounted quota. Previously you had to be out of the system for at least five years to claim it. Autonomos reaching retirement who have employees in their business have something to cheer about too. If you carry on working past this age you can claim 100% of your state pension instead of only 50%. You'll also get deductions for contracting family members including parents, grandparents, siblings, spouses and in-laws. There are no limits of how many family members can be employed and all available social security discounts can be applied to contracts with family members. If you work from home you can claim up to 30% of your utility bills - electricity, gas and phone. At the moment, you can only claim these expenses if you have a separate meter in the house specifically for business use, which certainly isn't practical for most people. You will also get a daily subsistence allowance of €27.67 for when you're working away from home and €48.08 when abroad. Strange figures for the taxman to have come up with but it does mean you can claim your own lunch, for example. You will need a proper invoice or factura simplificada and you have to pay by card, not cash. You also need to prove it is a legitimate business expense. 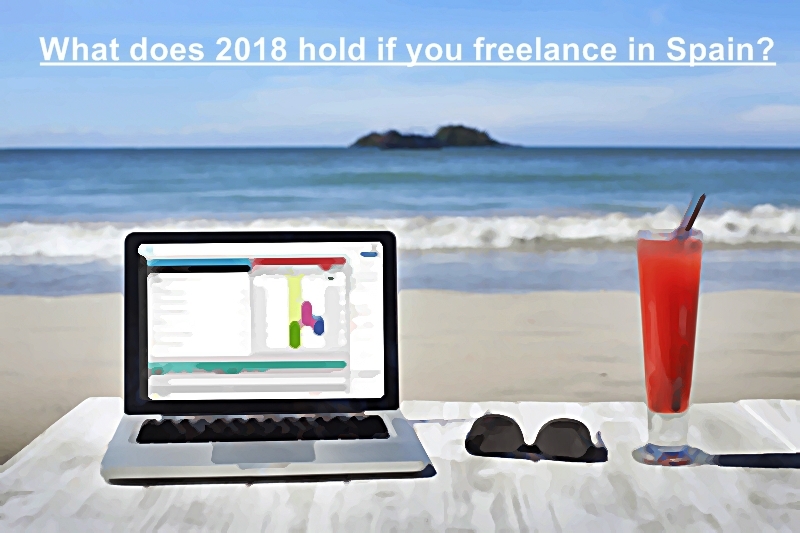 Please contact HCS Accountants for further information about becoming a freelancer in Spain or for any other financial queries relating to living in or moving to Spain.